This week’s Gallery Prompt at from the lovely Tara over at Sticky Fingers is Celebration. The 28th of this month is my third wedding anniversary, as well as my birthday. So I thought I would celebrate my third wedding anniversary via Tara’s Gallery. Here is my wedding celebration below, yes I did have my first baby before I got married. I met my hubby at work. We starting going out about a year or so after I started there. That was nine years ago. We will be married three years and have two beautiful children. It hasn’t always been plain sailing but then, relationships never are but I have never been happier. Happy anniversary Robert, I love you more and more everyday. 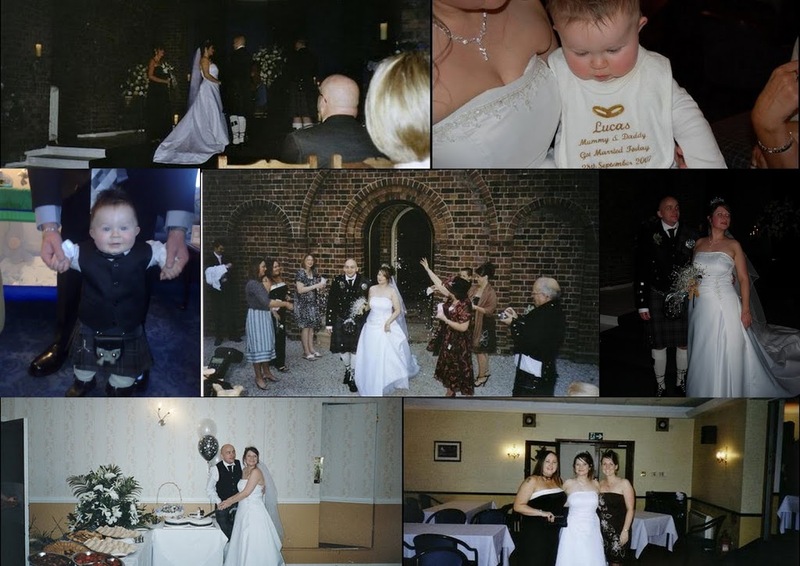 Oh a toddler in a kilt – just gorgeous!Great montage. Happy anniversary Susan!! What lovely photos!! (And that baby is ADORABLE) What an great little family! !